Welcome to summer; a time for most educators to recharge and retool. As part of our own transition, we’ve recently changed our name from UNH Professional Development and Training to UNH Professional Education. We hope you’ll take advantage of some of our offerings described below. Don’t miss the opportunity to study the fundamental doctrines and practical application of assessment and evaluation through the Assessment Institute. 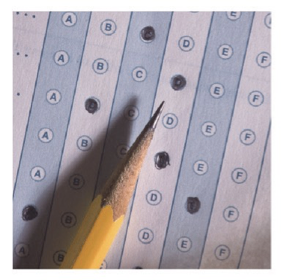 The Assessment Institute consists of four half-day modules designed to teach the principles of effective assessment, evaluative judgement, and data management. Coaching Children and Teens is a series of workshops designed to assist counselors helping youth to create action steps for personal and academic goals and cope with challenging issues. A total of 18 hours is required to complete the Coaching Children and Teens Certificate program consisting of three required courses and three electives. 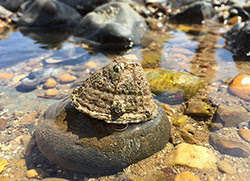 Discover the treasures found in tide pools, learn more about the coastal critters that call this habitat home and dive deeper into the science of inquiry through data collection in this one-day noncredit workshop for science teachers. Did you just get promoted to a supervisory role? Congratulations! Now what? Learn the secrets of supervisory success at Supervisor’s Boot Camp with Lynne Richards and David Lee. String-instrument and music lovers alert! UNH PE runs the Violin Craftsmanship Institute each summer. View last year’s video and share it with string-instrument music lovers and repairers in your community. Learn more. UNH Professional Education collaborates with area partners to bring you the most valuable experiential learning opportunities. Rocky Shore Ecology is co-sponsored by the Seacoast Science Center in Rye, NH. Go to the Seacoast Science Center to explore on your own or participate in a visitor or group program. Naturalists at Seacoast Science Center are ready to guide you on your learning adventure. In addition to our broad interest newsletter, we will occasionally send email relating to specific professional development interests. Please use the form linked from the button below to update your interests.